MELBOURNE - Design, Print and Signs. 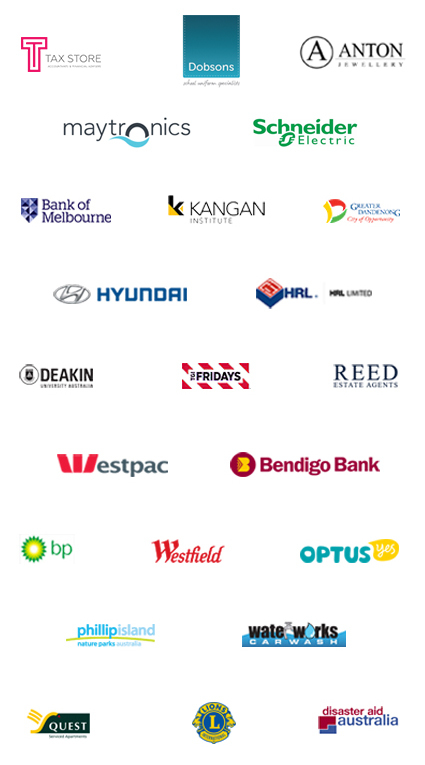 We are an Australian owned company based in Dandenong that provides competitive pricing for - Design, Print, and Signs. We have been providing outstanding service and products nationwide from small to large enterprises since 2006. Peter Sung offers a wide range of quality display products for an exhibition, trade show, and events. Some of our popular displays are: media walls, pull up banners (roll up banner), media walls, pop up displays, a-frames, flags, catalogue stands (brochure stands), x-frames, hanging banners, bannerettes, light boxes and many more. We can design almost anything, whether you need a new logo, flyer, poster, packaging, business card or website. With reasonable prices as affordable as ours, you don't have a reason to put your advertisement on hold. Signage is another area we specialises in, our quoting, design, and installation services make it easy for you especially if you're starting a new business. We pride ourselves on being the affordable Design, Print and Signs company with the ability to provide quick turnaround digital printing and signs as quick as 24hours. Mobile advertisement is, in fact, one of the cheapest forms of advertising. 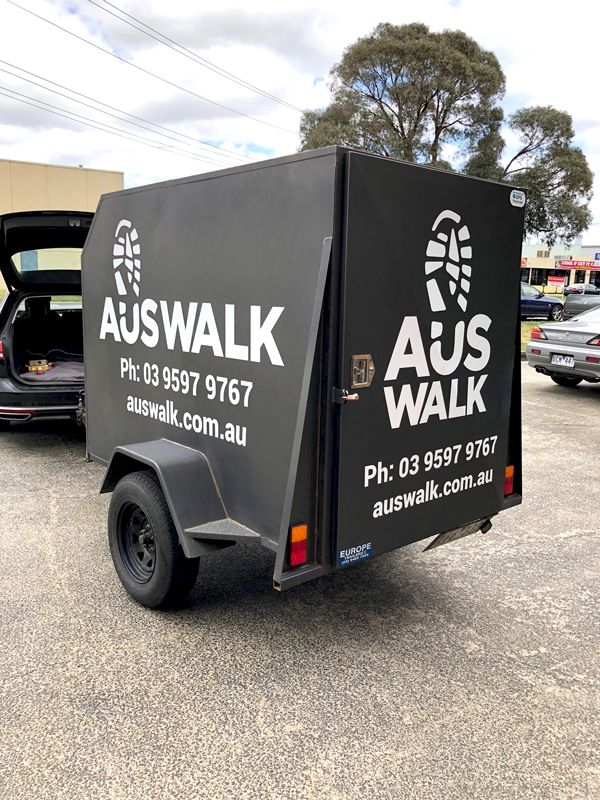 If you have a trailer you use for your business like AUSWALK you can turn it into a mobile billboard promoting your service/product as you roll from one job site to another. 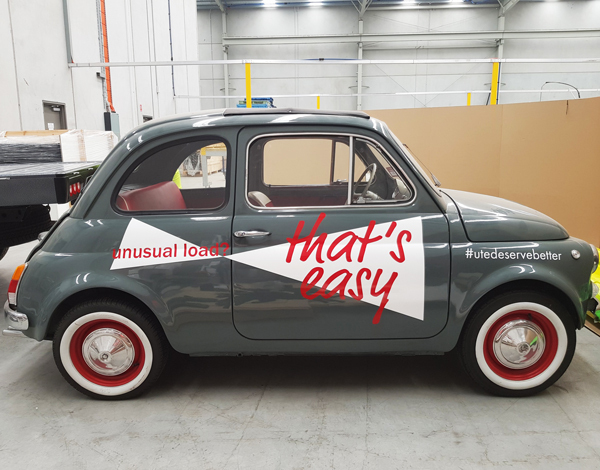 Trailer wraps are more affordable than most people think, it's a great way to reach out for potential customers or simply for brand awareness locally. 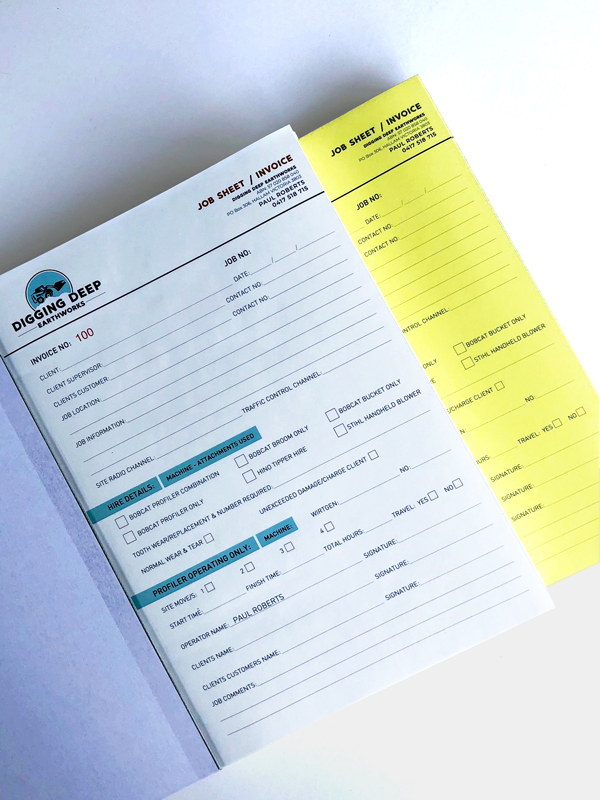 Getting your custom design invoice book or job sheet book with us is as easy as 1,2,3. For instance Digging Deep Eartworks came to us to get some duplicate Invoice/Job Sheet book made up. As all our carbonless books are custom print to the customer's specifications, we've asked our client to draw out how they want their invoice/job sheet to look. Customer provided us a hand-drawn/written design with forms and tick boxes. Our designer then put everything together, using different fonts, highlighted headings and incorporating different size boxes to ensure a nice flow and at the same time sectioning information to help the person filling the form and the reader find relevant information quickly. 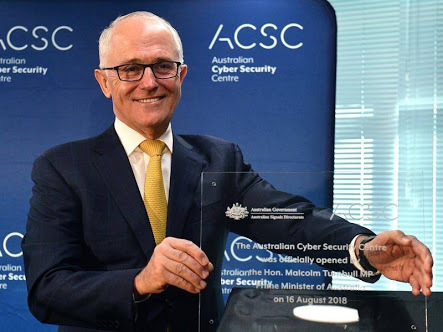 ACSC ordered a single sided print Fabric Media Wall for their official opening of Australian Cyber Security Centre by Prime Minister Malcolm Turnbull. Our free standing media wall system is great to be used as a conference or event backdrop; light weighted easy to transport or store away and only take minutes to fully erect. If you are planning an event, a media wall is a must! A great cause needs a big great cheque! 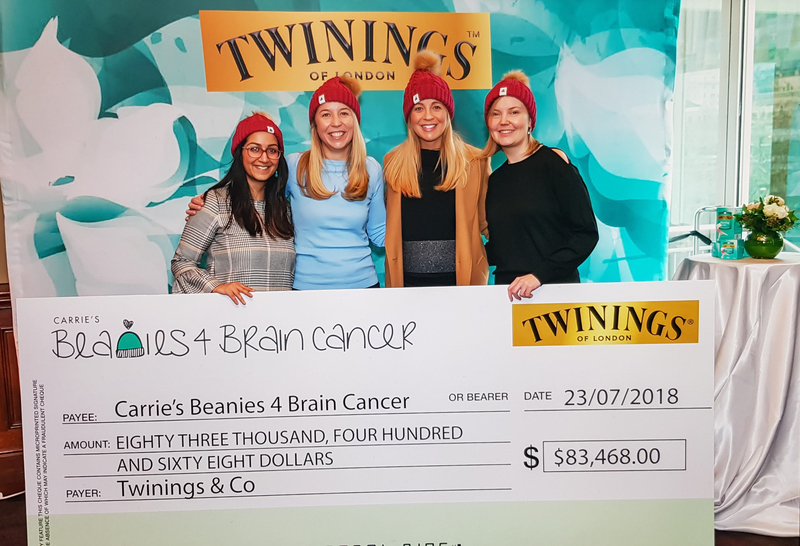 Oversized novelty cheques are a great way to present charity donations, just as Twinings presented their $83,468 novelty cheque 180cm(w) x 80cm(h) to Carrie’s Beanie 4 Brain Cancer. Say goodbye to boring walls... We now offer custom wallpaper printing and installation within Melbourne. The picture above speaks for itself, custom wallpaper printing offers more than just style, it’s marketing with a bit of fun! 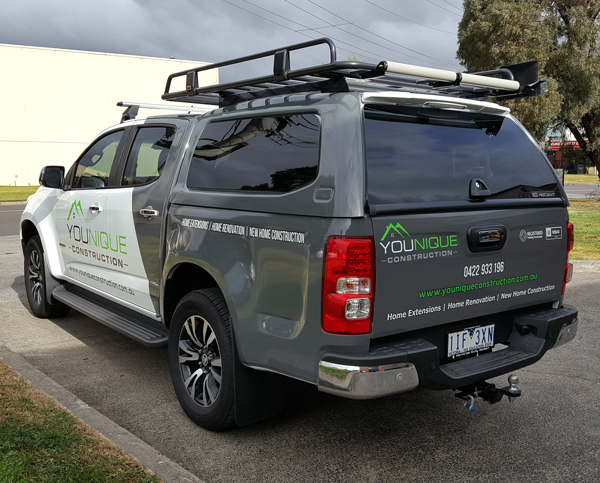 Vehicle graphics is a great way to promote your business, simple graphic wraps can cost as little as $295. Or if you want something different like this one where half of car was wrapped with grey vinyl it cost more but the outcome speaks for itself! There are just too many ways you could use a pull up banner. 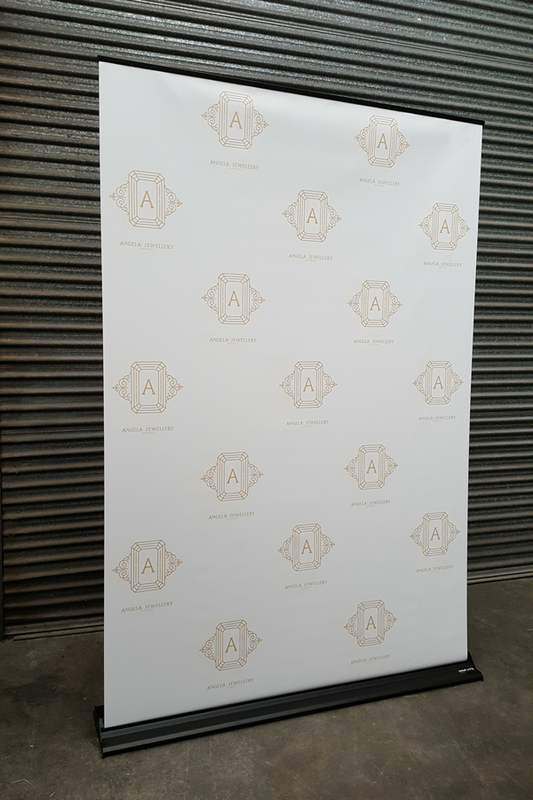 Our client Angela Jewellery wants nothing more than their logo on a white background to be used as a backdrop in their shop. These pull up banner units available in many sizes and styles to suit whatever your budget, the best thing about them is that they are portable and it literally takes no more than a minute to set it up. Vinyl cut graphic installed on a retro mini as a statement to promote Custom Built Trailers. Car graphics like this is quick and easy to install and most importantly it doesn't cost much. Invisi Screen a Melbourne based company offering quality 'Retractable Pleated Flyscreens' has been going through a big transformation in terms of branding. We started off re-designing their logo and business cards which they loved and now we have re-designed and print their brand new brochures. Invisi Screen was after a design that was simple yet elegant, simple enough it provides all the relevant information and elegant enough not to get out-dated so quickly. 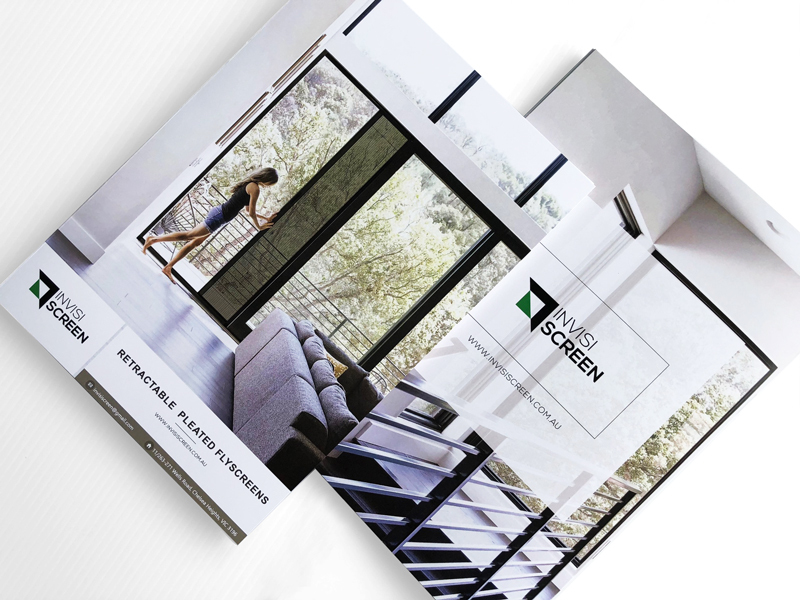 Since it was only an 8 pages brochure, we recommended that cover pages print on an 350gsm thick stock that is nice to touch and rigid enough not to get bend/crease easily. To keep the price at a reasonable price we recommended 200gsm stock for the text pages (inside pages) not as thick as the cover but thick enough that you can't see what's printed on its backside. 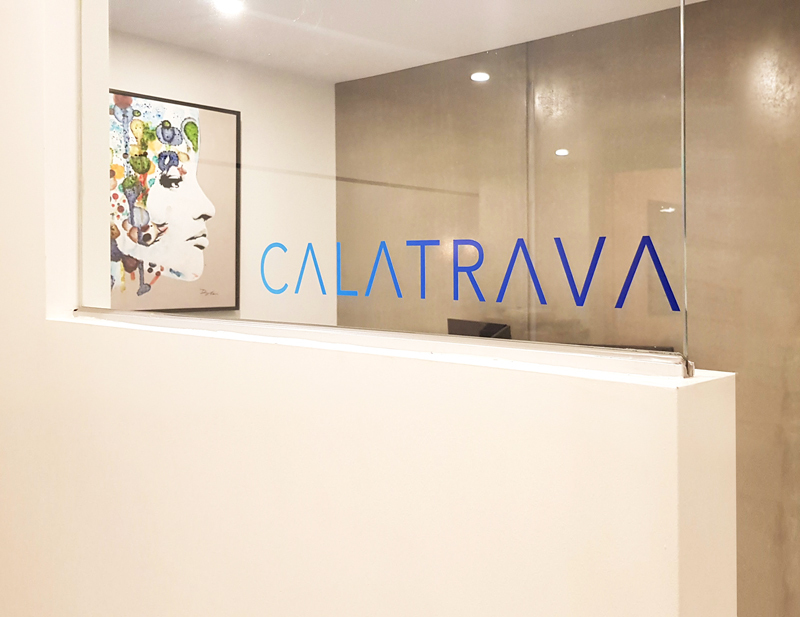 Calatrava a newly established real estate agent in Cheltenham needed signage for their reception and offices. 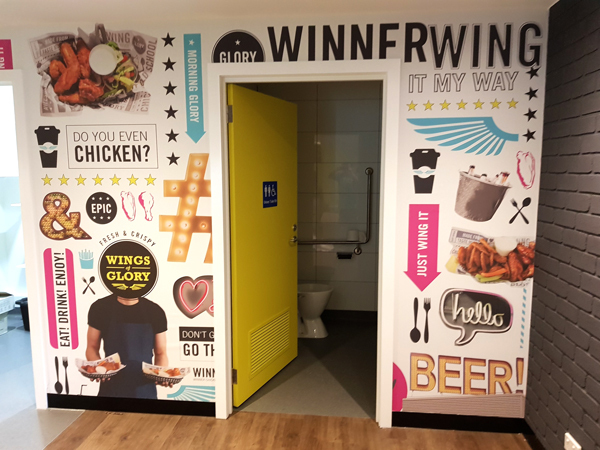 Our client was after a simple yet stylish signage solution that does not require much space. We recommended window signage to them, did a few mock ups based on what we think meet all their requirements. And finally they've decided to go with Digital Cut logo mount on glass; it looks great and definitely an inexpensive signage solution for their brand new reception. 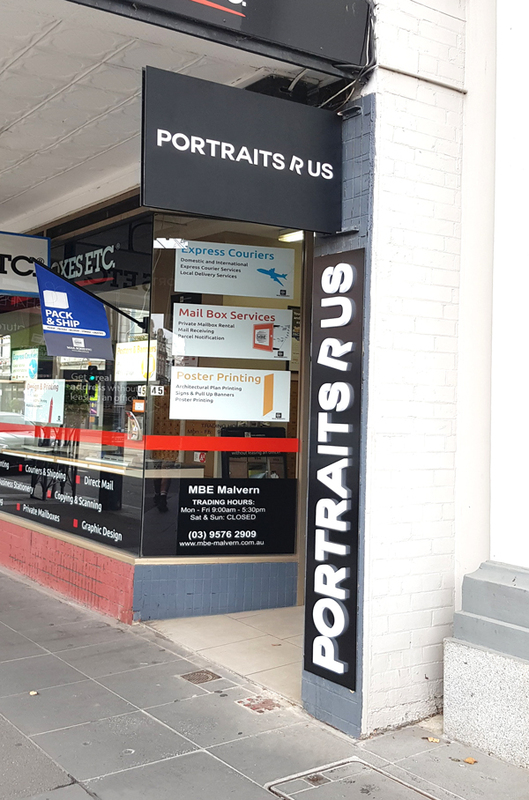 Portraits R Us has recently moved their studio to Malvern. Since the studio is on 2nd floor, the space available for signage was quite limited which in this case our Vertical Hanging Sign was used. The sign was mounted vertically on the wall supported by two metal bars that are bolted to the brick wall. 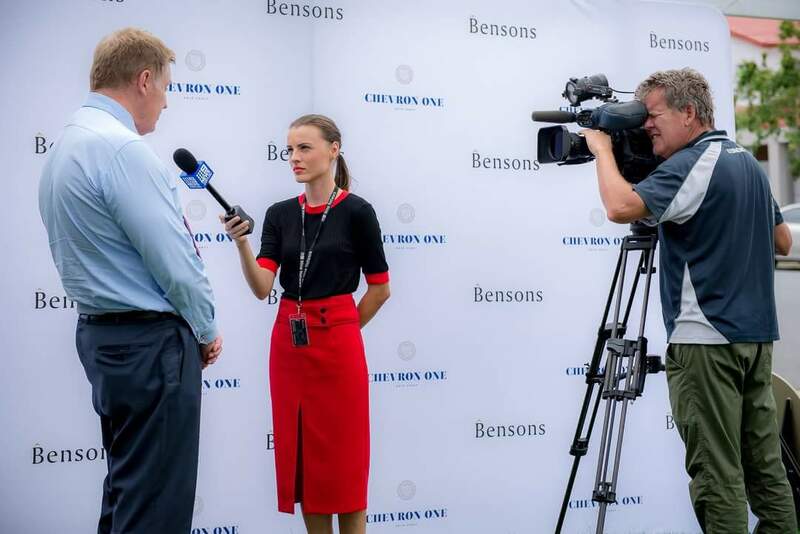 Bensons Property Group ordered a 4m long fabric media wall from us for their "Bensons Chevon One" event in Gold Coast recently. The media wall was like a centrepiece for the event, lots of photos taken in front of the logo media wall as well as a video interview. In our opinion, media wall is a must for any corporate events and functions. 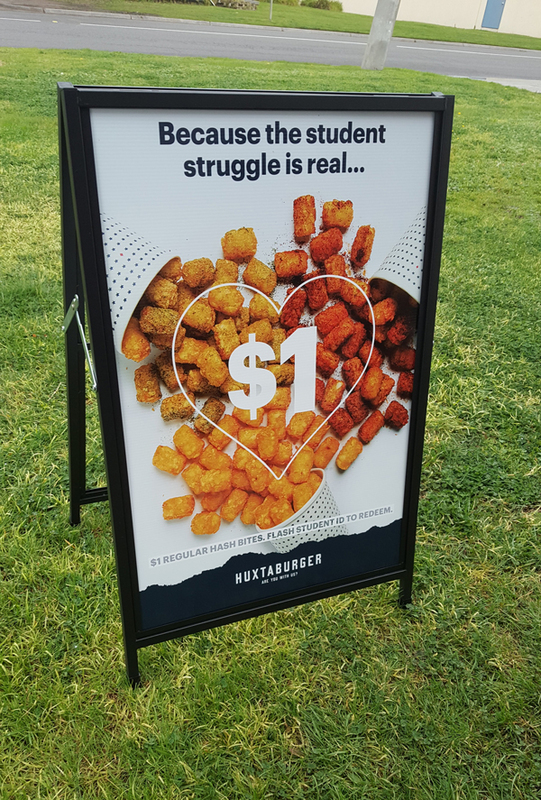 Huxtaburger bought some corflute A-Frame to be placed in front of their restaurants. The Corflute A-Frame is a semi light weight pavement display systems that allows you to change graphics and move it around easily. Huxtaburger also printed a few different deliciously crazy cheap deals to draw customers into their shop. Headspace ordered their large novelty cheque through us. We design and print their 100cm (wide) x 45cm (height) prize cheque for their up and coming event. 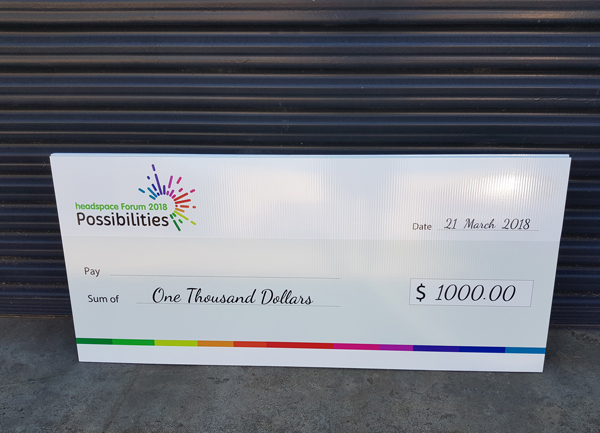 Our oversized novelty cheques are printed on Corflute, so they aren't those flimsy types and are great for photos.